Balbriggan Golf Club are delighted to announce their Get into Golf programme at Balbriggan Golf Club. 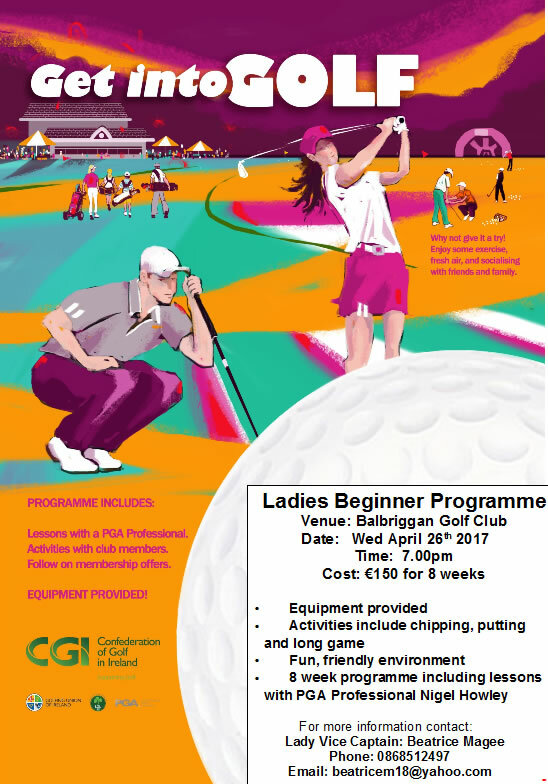 Ladies beginner programme begins on Wednesday 26th April 2017 at 7pm. Equipment provided, activities include chipping, putting and long game. Fun, friendly environment and a chance to meet new friends. 8 week programme including lessons with PGA Professional Nigel Howley. Cost is €150 for 8 weeks.